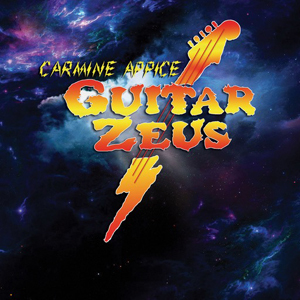 Legendary drummer Carmine Appice is scheduled to re-release his GUITAR ZEUS project, a compilation album featuring a who’s who list of the best and world-renowned guitarists on the planet backed by his core band featuring Tony Franklin (THE FIRM, BLUE MURDER) on bass, Kelly Keeling (T.S.O., M.S.G) on vocals / keys / rhythm guitar, and Appice on drums. Written and playing some well crafted timeless songs. Originally released as two separate albums in 1995 & 1997, this new re-mastered album (by Stephen DeAcutis - Vanilla Fudge, Corey Glover, Overkill, Cyndi Lauper) combines both releases as one complete version on January 18, 2018 for the first time ever across all digital platforms, as well as feature 5 brand new songs with Ron “Bumblefoot” Thal, Pat Travers, John Norum, and top Japanese guitarists RaiZi and Char. Select songs will also be available on a special limited-edition vinyl and CD. “The Guitar Zeus project, for me, was an amazing experience that has never been done before by a drummer, especially with so much talent on one album! You get your money’s worth! Writing all the songs with my band (Tony & Kelly) and then picking out songs for each guitarist was a fun and time-consuming process, especially coordinating everybody’s schedules and recording sessions.